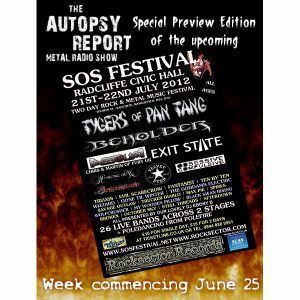 Autopsy Report, Beholder, Incassum, Obsessive Compulsive, Wolfcrusher and more. Join us this week for a preview of the upcoming School&apos;s Out For Summer Festival which takes place at Civic Hall, Manchester on July 21 and 22. Featuring bands playing at the festival and a competition to win two FREE passes for the two day event. How can you resist? Tune in!! !